Change is always welcome. Android is a system that, visually speaking, has changed little in the last three years. Personally, I believe that deeper changes should reach the system and products of the company instead of aesthetic changes, but we are passing through a moment of reorganization. 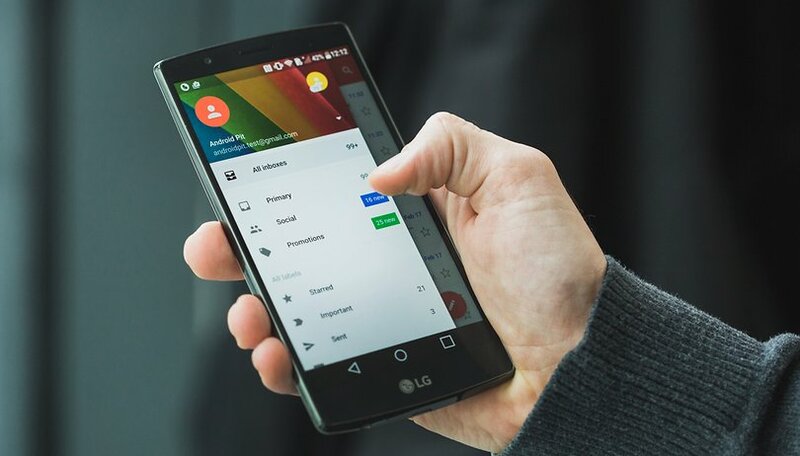 Recent changes in the design of Android P and other Big G platforms like Gmail carry a greater meaning behind them. Which devices will get the Android P update? Who hasn't heard a gripe or two about Android being confusing and difficult to use? Well, the little green robot stumbles in terms of usability, for example when the system displays notifications that aren't necessary like those from the cell network. The Material Design concept has brought a clean style guide to Android which has been refined over the years, and we can basically say that the design of the OS is well-polished. I believe strongly that Android looks great the way it is. What Google is proposing now goes beyond aesthetics, and is an exploration into the platform's organization, usability and new technologies. Changing up the Android skin is something manufacturers have gotten very good at, and custom interfaces are reaching a much larger number of users than stock Android. Whenever Google tries to change the face of Android, the results are uninspiring, for example, switching from a gray to a white background or from normal icons to circular ones. Who cares about Android P? Custom interfaces are so popular that nowadays users notice few differences after their phones receive an update. Few understand the update process and why it is essential, but it is filled with features users consider important. Even Motorola has been untangling itself from pure Android and is now offering something more custom, as brands are creating ad campaigns to entice users and break away from what stock Android has to offer. It's easy to understand why proprietary interfaces are important to brands, business-wise, and how stock Android is actually fairly niche. What Google wants to do now is something that goes beyond the aesthetic, focusing on new experiences that won't be strange to the user. We must understand that for important new functionality to come to Android, users need to be familiar with the system layout so new features are intuitive and easy to locate, even at the cost of design stagnation. Android should be smart and organized, not just pretty. Reply and Google Assistant are good examples of this, as they integrate artificial intelligence into the system simply. It turns out users will only notice the importance of these features when they are accessible in certain parts of the system. If Google changes the placement of a feature, or makes it more difficult to access, few people will see the usefulness of using Reply to answer short messages. So, Google will need to let go of changing the look of the system in a profound way and instead focus on integrating and organizing new and essential features. It's not worth changing a car's upholstery and paint if you forget to have a look at the engine. Finally, I think Google isn't trying to get our attention by offering a fresh Gmail, but by making room for the platform and Android to organize itself and receive new features. Improving the system is worth more than making visual changes to stock Android which hardly anyone sees. Do you agree? Do you think Google should put the UI in the background and focus on system improvements instead? Yes, leave it alone. And if developers stick us wiith a glaring, white screen, they'd @#$& well better include dark options (that work!) for nighttime. have to agree with other posts.. set it and forget it. Have to say, so far so indifferent, since I've been setting up the same launcher and apps in the same way same day I've gotten each of half a dozen Android devices, since Gingerbread. The only important things that're unfamiliar are under the hood. e.g. Android Setttings menu. So far, Android has spared me learning curves for nameless techies' ideas about aesthetics and usability - and I bless Android for that. Same here. I back up my settings with Nova Launcher, after a new device, just install the backup. Guess I'm set it my ways. Shoot, I stopped rooting, tweaking about 4 phones ago. They are "good enough" and I'm not into benchmarks or others tweaks any more. To me, it's a tool. After 5pm, I rarely touch the phone unless someone calls me.